Concrete is an incredibly popular material to use in paving. After all, 30% of all U.S. interstate highways are paved with it, as are countless parking lots, driveways, and other roadways. But whether you choose to pave with asphalt or concrete, you’ll know that no material is totally indestructible. 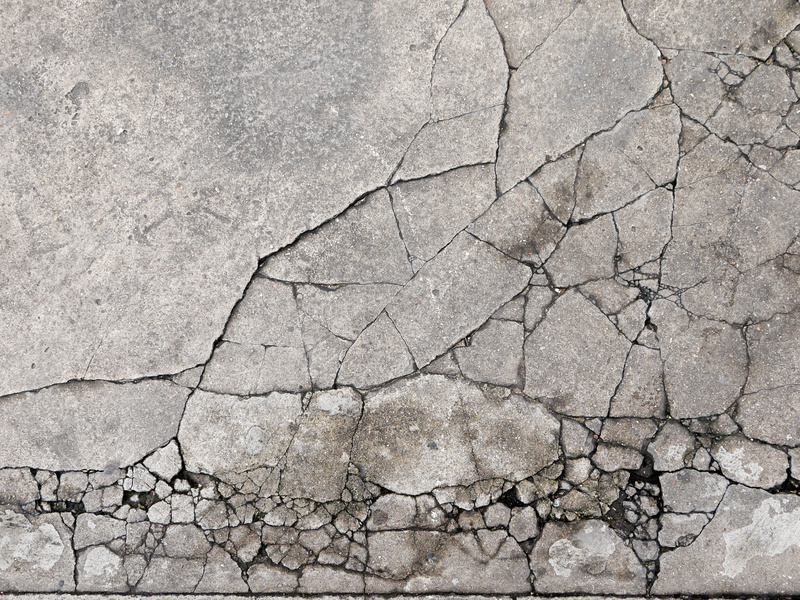 Whether it’s due to improper formulations or general wear and tear, you may eventually need to consider sealing concrete cracks that appear. But why do these cracks even form in the first place? We’ll talk about that in today’s post, as well as the actions you should take if your driveway, parking area, or other paved location starts to crack. Why does this material crack? Hiring the right pavement company can ensure you won’t have to deal with unnecessary cracks caused by improper installation. Wear and tear caused by excessive traffic or drastic temperatures may be a bit harder to prevent, particularly if you can’t change your location. But making sure that weight regulations are followed and that you seal this walkway, driveway, or parking area as needed can help you avoid damage like cracks. If you do observe cracks starting to form, you should absolutely contact a reputable paving company in your area to assess the damage and recommend a course of action. It’s actually best to contact highly recommended paving services from the start to avoid these problems from the get-go. But no matter what, you shouldn’t ignore these problems; they will only continue to get worse over time and could end up costing much more to fix. They might even damage your vehicle or present a safety hazard to your family, your employees, or your tenants. Depending on the extent of the problem, the problem could be relatively easy to fix — but you won’t know for sure until you call the experts. And the longer you wait, the worse the issue will get. For more information on our pavement services, please get in touch with us today.